Last edited by reece(:; 29-08-2018 at 01:44 PM. Coleen is a NASTY person! Last edited by Ant. ; 29-08-2018 at 01:02 PM. 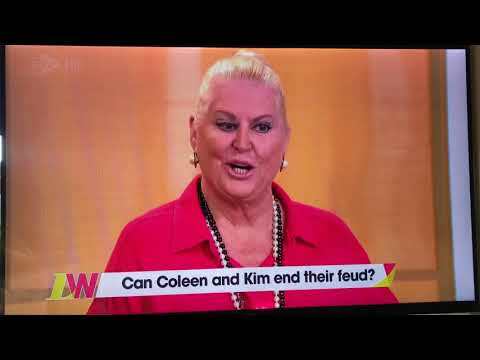 Kim woodburn is a ruddy nut job. She needs some serious therapy. They clashed near the end when Coleen joined in with Nicola calling Kim a vile scum of the earf and Coleen bitched about Kim CONSTANTLY before this but was too afraid to be honest about it and was way too nice to her face. People can say what they want about who to side with in the Kim/Nicola dispute but all of that was at least upfront and honest. Coleen sat there moping in the smoking area for a month about issues with Kim she never tried to solve. I'm screaming at Janet Street Porter dressed as a barrister. Last edited by Elliot; 29-08-2018 at 01:08 PM. Linda: You have no talent! Kim: Excuse me, EXCUSE ME, EXCUSE ME! Shows how stupid YOU are!